Chile is considered to be one of South America's most prosperous and stable countries. Soccer is the most popular sport in Chile while tennis is the one the Chileans are most successful in. Chile's national sport is Rodeo. Chile celebrates its Independence Day on September 18th each year. In Chile the most popular religion is Roman Catholic (66%), followed by Protestant or Evangelical (16%), and Jehovah's Witnesses (1%). Natural resources in Chile include copper, iron ore, precious metals, timber, and hydroelectricity. Chileans refer to Chile as 'pais de poetas' which means 'country of poets'. The two Nobel Prizes awarded to Chileans were in the subject of literature. Pablo Neruda was awarded the prize in 1971, and Gabriela Mistral was awarded the prize in 1945. Chile's main exports include wine, paper and pulp, fish, fruit, and copper. Chile's main imports are vehicles, industrial machinery, chemicals, natural gas, and electrical equipment. An earthquake hit Chile in 2010 resulting in as many as 500 deaths and more than 1.5 million people being displaced. It was an 8.8 magnitude earthquake. Chile is the world's fifth largest wine exporter. Chile has a government-supported organization that researches UFOs. Chile's official language is Spanish. Most of Chile experiences four seasons including spring (September to November), summer (December to February), autumn (March to May), and winter (June to August). Chile's climate varies greatly because of its size and shape. It has the driest desert in the world (northern Chile), a Mediterranean climate in central Chile, glaciers in Chile's south and east, and even humid sub-tropics on Easter Island. Chile's largest city is Santiago Metropolis with a population of 5.4 million. Greater Valparaiso is the second largest with a population of 803,000. Easter Island is part of Chile, as are Robinson Crusoe Island and Sala y Gomez Island. Chile is the most southern country on a mainland. Chile covers an area of 292,260 square miles. Chile also claims to own 480,000 square miles of Antarctica but the Antarctic Treaty suspends this land claim. Chile is long and narrow, stretching 2,670 miles along the coast, and only 217 miles at its widest point inland. Chile stretches along the west side of the Andes Mountains in South America. Chile's indigenous population are called the Mapuche. The indigenous population of Chile only accounts for 5% of the country's total population. 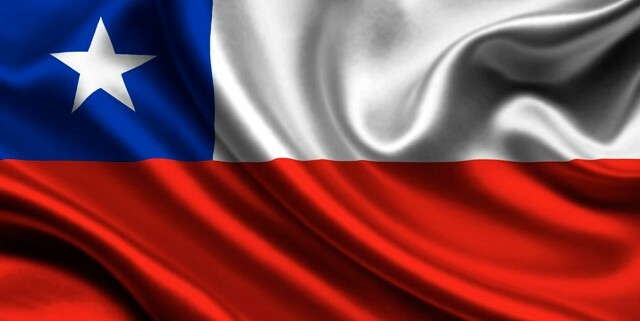 Chile's official name is the Republic of Chile.